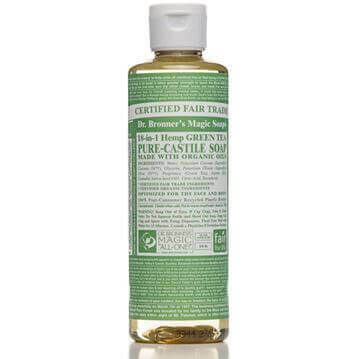 Dr Bronner's Pure-Castile Liquid Soap -Baby Unscented (mild) has no added fragrance, with double the olive oil, and is made from natural ingredients including hemp and coconut oil. This Baby Unscented Pure-Castile Liquid Soap is good for sensitive skin and gently cleanses without stripping the skin of its natural oils. 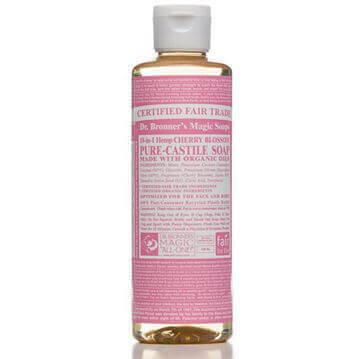 Directions: These 18-in-1 Pure-Castile Soaps are good for just about any cleaning task. Face, body, hair – food, dishes, laundry, mopping, pets – clean your house and body with no synthetic preservatives, detergents or foaming agents – none! A soap with 18 different uses- wow! 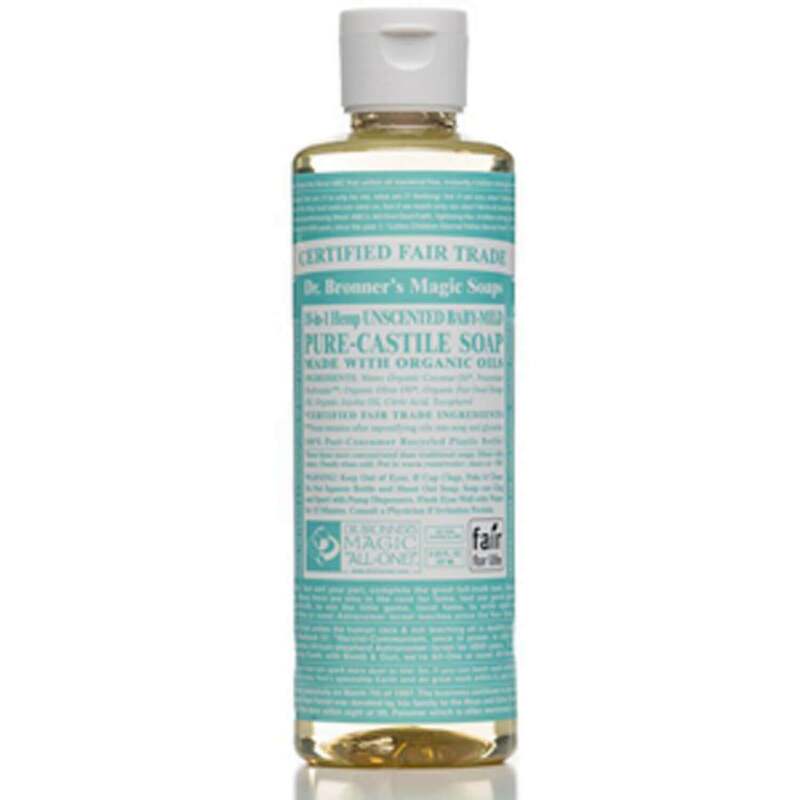 We tried this in bub's bath and it was great for her sensitive skin. I also used it on my face and it was great. Can't wait to try it out on other things!